Intelligence-based Strategic Planning – For growing and defending your business. Customer Insights – Get inside the heads of your customers. Keep up with the latest insights from Proactive's researchers, analysts, and thought leaders. Why Invest in War Gaming? If you’re new to business war gaming, the exciting news is that you’re not alone. War gaming is a human-based experiential tool that, through targeted role play, allows you to better understand your competitor’s mindset and pressure test your own strategies. 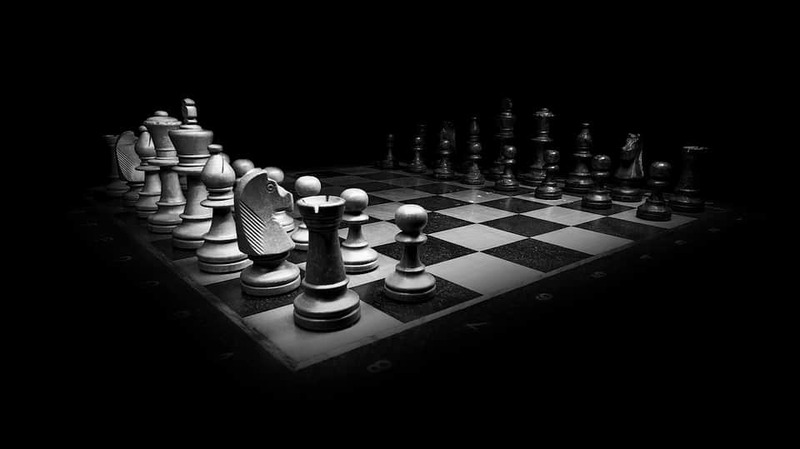 As Proactive Worldwide’s president and co-founder, David Kalinowski likes to say, “War gaming is an important strategic tool that a lot of companies aren’t using as they ought to.” And this is a crucial point to consider when executive decision-makers need every competitive advantage they can get to ensure their business strategies meet with success. To put this scenario into perspective, imagine what would happen if a finish carpenter chose not to use a tape measure. Without the aid of a tape measure, pieces of raw materials like molding and baseboards would wind up being cut too short or too long. The result would be extra costs for more materials and labor — plus, an end product that’s far less likely to be as appealing as if the carpenter used the tape measure in the first place. Simply put, by overlooking a useful tool, a finish carpenter could very well jeopardize present and future business opportunities. And by comparison, war gaming is a proven tool that, when used properly under the guidance of an experienced competitive intelligence — or CI — firm like Proactive Worldwide, creates simulated attacks and defenses that leave your people far more knowledgeable about their own capabilities and preparedness to successfully thwart competitors’ activities. With more than two decades of experience in CI and facilitating engaging war gaming workshops, Kalinowski has repeatedly seen how this strategic tool can have a huge ROI for organizations that want to thoroughly pressure test their business strategies before implementing them. If you’re interested, you’re encouraged to listen to his thoughts on war gaming firsthand in Proactive Worldwide’s new Business Intelligence podcast. Align leadership: War gaming helps business unit and functional leaders develop aligned strategies and prioritized actions to address the competitive landscape they’re facing. Increase probability of success: By playing out competitors’ actions, strategies become more robust and more likely to meet with success. Evaluate alternative strategies: To help neutralize threats and mitigate risks, alternative strategies can be identified and thoroughly evaluated. Recognize opportunities: Otherwise hidden or unnoticed opportunities can be more readily discovered and exploited. Bring cross-functional people together: When professionals from strategy, sales, operations and distribution — to name just a few — come together during war gaming, siloed knowledge and communication barriers are transcended. Help successful strategy implementation: When it’s time to execute strategy, involving war game participants helps ensure better implementation, as those people feel more invested in the decision-making process. To learn more about business war gaming broken down by industry for unparalleled strategic planning results, contact us today.